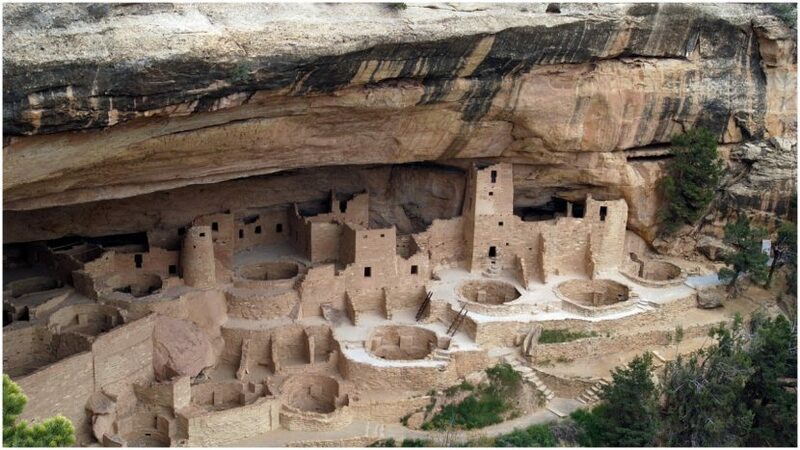 Years ago, I had the chance to visit Mesa Verde. 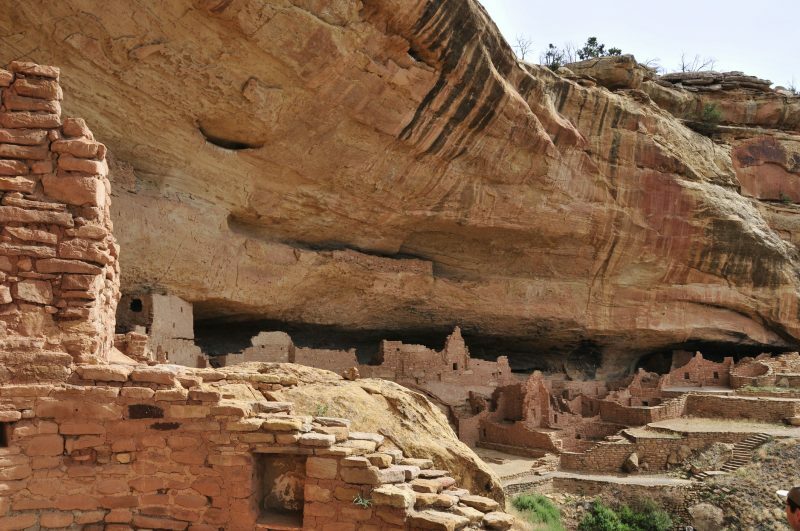 The enigmatic Indians who occupied those cliff dwellings left many mysteries behind for scientists to unravel. They also left us many useful lessons to learn from their lives. 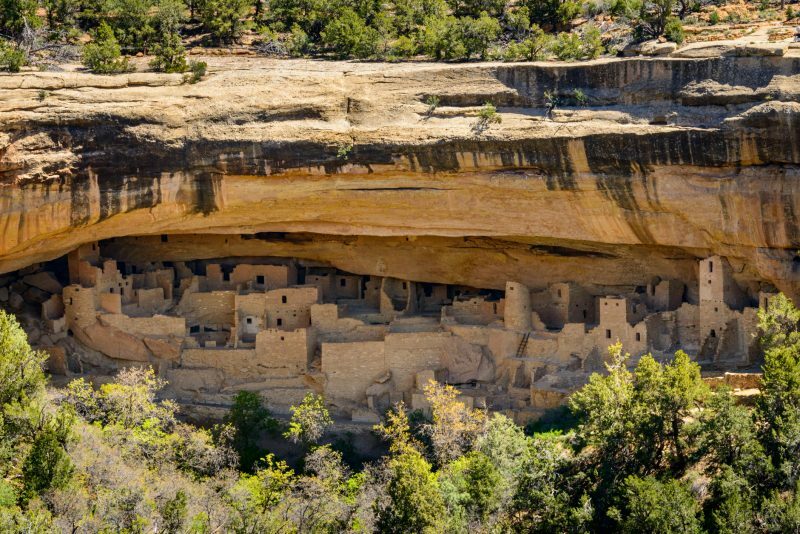 If you’ve never been to Mesa Verde, it’s a sight worth seeing. These Indians were cliff dwellers: building their homes and villages into shallow caves in the face of the cliffs that run through the area. They were farmers and farmed on the tops of the mesas by cutting ladders into the cliff faces to climb up from their homes to work on their farms. We don’t really know what happened to the Mesa Verde Indians. Scientists are still searching for the answer to that question. It’s hard to put a puzzle together when you don’t have all the pieces, and there are only so many pieces to be had for this puzzle. There are still many important ones missing. This Long House Native Ruins at Mesa Verde National Park shows how people lived then. The prevailing theory is that they were defeated by some unknown enemy. While I’ll admit that’s a possibility, I have to wonder how. One thing the Mesa Verde Indians did in the planning of their communities was to make them very hard for any attacker to get to. While it might have been possible to put them under siege and starve them out or deny them water, a direct attack would have been extremely difficult. 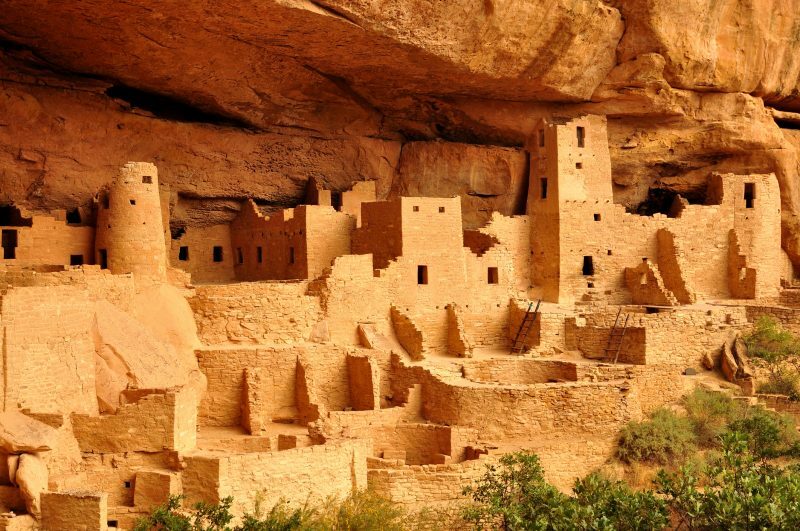 The key to the Mesa Verde Indians’ defense was where they chose to build their homes. Like many other cultures before them, they recognized the risk they were under from attack and chose to make their community defensible. Rather than building a wall around it, as many others have done, they built their communities in places that were essentially unapproachable. The caves that the cliff dwellers used were all at least ten feet off the canyon floors and in most cases considerably higher. They reached those caves by using notched poles as ladders. In the case of a potential attack, all they had to do was draw the pole up into the cave to deny enemies access from that direction. Coming down from above would have been even more precarious for any enemy attacker. First of all, they would have had to find a way to the top of the mesa – not something easy to accomplish. The ladders the Mesa Verde Indians cut into the sides of the cliff face would be hard to duplicate, especially as they required chipping out a step by hammering the cliff face with a hard rock while holding yourself in place on those steps you had already created. This wasn’t the sort of thing an enemy could do quickly or in secret. Once they made it to the top of the mesa, they would have had to climb down to the cave the village was built in. This could only be done by a single line of warriors, and they would be extremely vulnerable as they climbed down. A couple of warriors stationed at the bottom of the ladder or farther off with bows could deny access from that direction and kill all who tried. It would be theoretically possible for attackers to kill many of the Indians with bows and arrows by staying in the canyon below or on the cliff-face opposite and shooting at anyone who ventured out in the open. But even then, the defenders would have the advantage of position and defensive walls to protect them while they fought. Firing down into the canyon would give them the advantage of altitude, making it harder for the attackers to hide. Arrows shot into the caves could be reused, so chances are they wouldn’t run out. The cliff dwellings were built of clay or mortared stone. Even if enemies could actually reach the cave, they would still have a hard fight ahead of them. The cliff dwellings were built of clay or mortared stone, and while there were windows and doors, they were narrow and required a person to stoop to get through. Any warrior trying to attack one of the homes would be forced to make himself vulnerable to attack when stooping down to made his way through the door. A single warrior inside that room armed with a stone ax could stop many attackers as they would not have a chance to fight back. There were also many rooms to attack. Each family had a room or two in the cave. While the homes were small, there were a lot of them. It would have been the worst sort of house-to-house fighting as they worked to defeat the defending community. 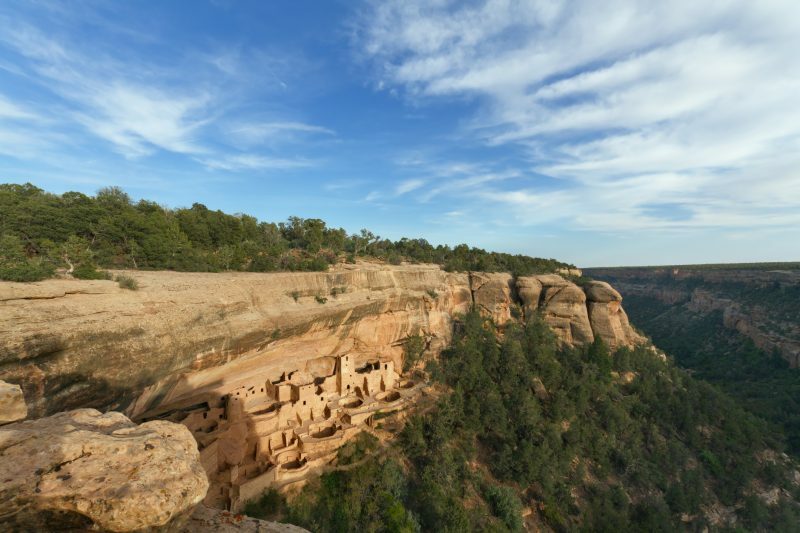 Whether by design or by accident, this gave the Mesa Verde Indians a layered defense system, which would have made it that much harder for attackers to overcome them and gain victory. 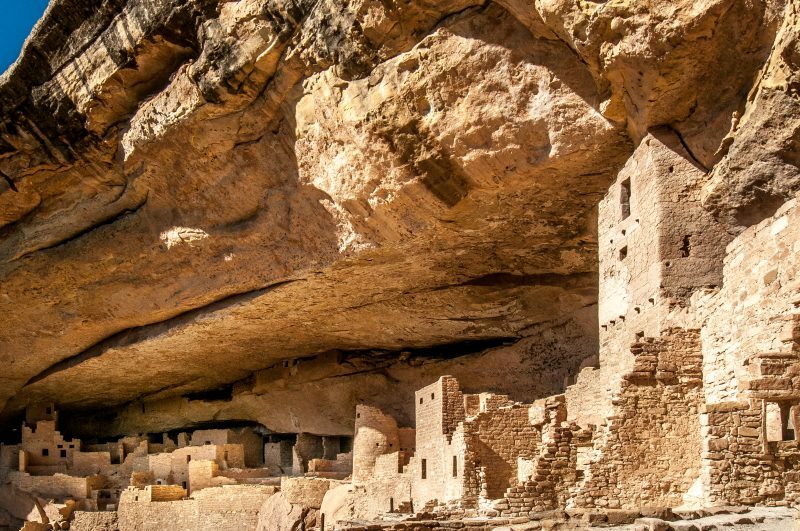 All this adds up to mean that, as with many well-prepared defensive positions, it would only be possible to effectively attack the Mesa Verde communities with a much larger force than that which was defending it. Losses for the attackers would be high, so they would need a large attacking force to ensure that even with the attrition of the battle, there were enough of them to win the war. 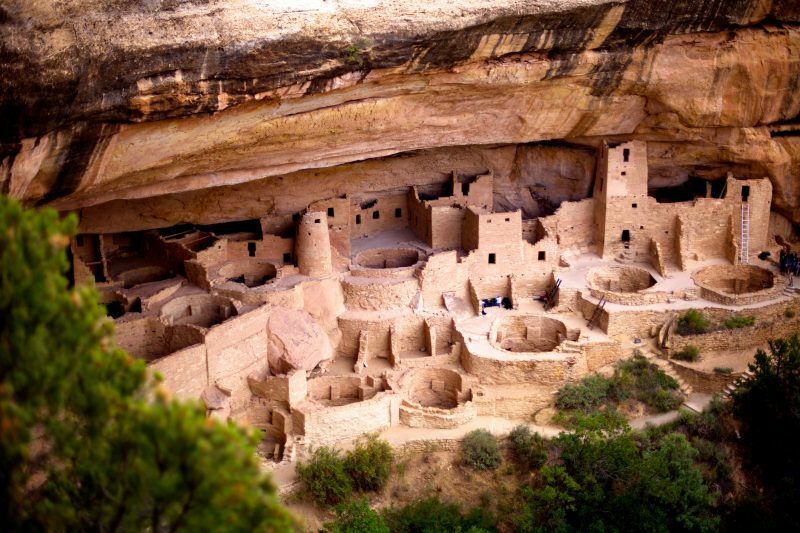 As with many other people of their era, the Mesa Verde Indians were faced with a difficult survival problem. The area in which they lived and the enemies they faced made living difficult. Many died young due to the difficulties of sickness, injury, and probably even battle. One thing this group of Indians did well was to make sure their home was defensible. Of all the Indian tribes scattered across the American landmass, their homes were probably the best built for those defenses. They may have had many other problems to deal with in their struggle to survive, but fending off enemies was probably one of the least of those, even if the enemies did eventually win. Any severe long-term survival situation will place us in a position with the same need. Every disaster brings looters and other criminals out of the woodwork who try to take advantage of the situation. How much worse would that be if we were faced with a severe disaster that forever changed life as we know it? Our survival may end up becoming more a question of defending ourselves and our homes than of how much food and water we have. While our homes are nothing like those occupied by the Mesa Verde Indians, there are always things we can do to make them more defensible. This must be done to ensure that we aren’t the next ones to become extinct.